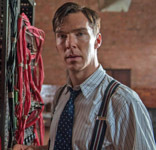 Anyone who’s seen The Imitation Game (Benedict Cumberbatch!) or enjoys PBS’s The Bletchley Circle knows about Enigma, Germany’s seemingly unbreakable cipher machine used during WWII. But did you know there is an authentic Enigma just down the road from Baltimore at the NSA’s National Cryptologic Museum? It’s part of a hands-on exhibit where you can tap in a message and witness firsthand how the machine, with its multiple rotors, kept the Allies confounded for years. Enigma was believed unbreakable for good reason: Breaking its code meant solving a puzzle that dealt with 3 x 10 114 possibilities. “That’s more than all the stars in the universe,” says museum curator Patrick Weadon. Though the hit movie credits Alan Turing with breaking Enigma, three Poles, Marian Rejewski, Henryk Zigalski and Jerzy Rozycki, broke it first with a machine they named Bomby. After Germany invaded Poland, Turing and his team at Bletchley redesigned the Polish apparatus, creating a more practical machine that delivered 24-hour intelligence. While there are no current-day parallels to Enigma on display, super computer Frostburg is there. Retired as obsolete in 1997, it analyzes massive amounts of data to find “missing puzzle pieces,” performing 65 billion calculations per second. Though the biggest draw is the Enigma, exhibits cover cryptologic history from Egyptian hieroglyphics to DEFCON and the handheld secure Sme-Ped device. Children enjoy Crypto Kids Challenge, receiving decoders when they arrive so they can decipher messages throughout the museum and receive prizes before they leave. Popular at the Gift Shop are “I Break Code” t-shirts, a bargain at $8.95; and heat sensitive Pig Pen Cypher mugs ($10.95). Museum volunteers and staff are all retired NSA employees and their “sea stories” bring to life the excitement of events from the Cold War to Kosovo, all distinctly influenced by knowing and breaking code. The NSA doesn’t always get the best press, which makes this museum so important. A visit here provides another perspective on the agency’s task to protect the country.